Could someone please also create stencils for OmniGraffle for Mac OSX / MacOS? Unfortunately, OmniGraffle 5.4 cannot read Visio Stencils. Alternatively, if someone with a Windows system could generate PNG images from the stencils and send it to me, I would be willing to create OmniGraffle stencils from the PNGs for Mac users. This might be helpful. https://nektony.com/products/vsdx-annotator-mac Or you can install a Windows virtual machine on Mac. Thanks very much! Indeed the VSDX annotator seems to be helpful. Will check it out. Yes, I know that latest OmniGraffle version supports visio file format, but for various reasons we decided to stick with OG V5.4.4. I could convert all stencils from the PPT. 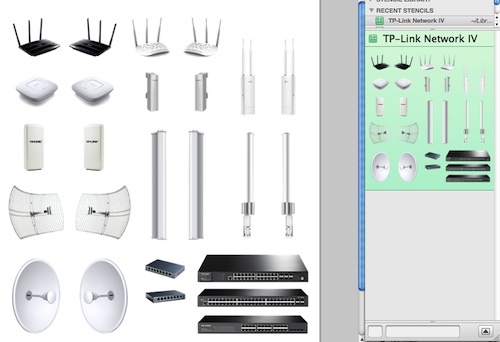 The blue and green styles in the PPT file are vectorized files, some without alpha channel, so I added transparency. Will add them sometime later to OminGraffle when I have some more time. 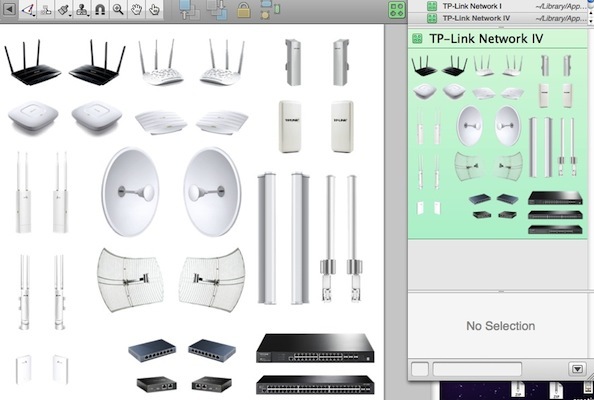 Attached is the grey-style archive (TP-Link Network I) with normalized stencils. I had to upload a ZIP archive, since the forum software doesn't accept tar/tgz UNIX archives. Great. I can't wait to have a try. Here is an update for my image stencils. Added EAP225-Wall, EAP225v3 and Omada Cloud Controller. TAR archive attached, image files are in PNG format. Can be imported into OmniGraffle and probably Visio, too.